THURROCK CVS WAS awarded funding from the Home Office’s ‘Building a Stronger Britain Together’ (BSBT) programme, which supports organisations in working to create more resilient communities. 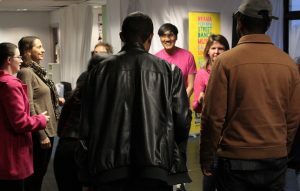 Thurrock CVS teamed up with Creative Blast, and together have given people the opportunity to experience a number of different creative and cultural opportunities through the Hidden Gemsproject. Join them for FREE food, fun and entertainment. Hidden Gems invites you to join for a celebration showcase at The Thameside Theatre on Wednesday 26th September from 5pm until 7pm.